The House Health and Welfare Committee held a hearing Friday morning on a Medicaid bill sponsored by Rep. Fred Wood. The House Health and Welfare Committee voted 10-0 Friday to OK the legislation. BOISE, Idaho — A piece of Medicaid expansion legislation introduced Friday is already dead, but the sponsor says it will form the basis for an interim study. 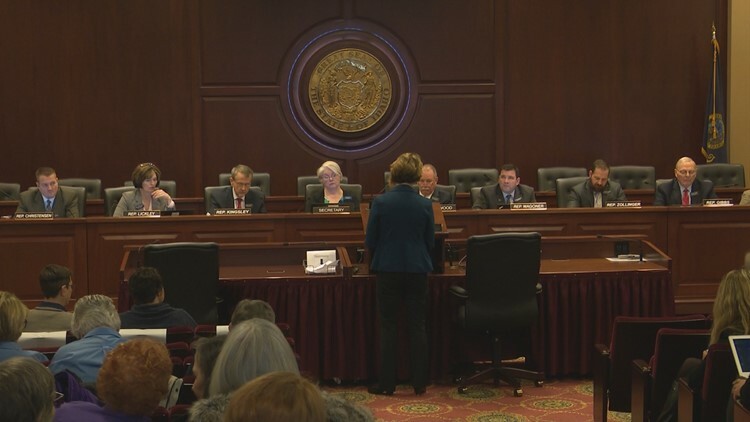 The House Health and Welfare Committee introduced and voted 10-0 on Friday to approve the legislation, which sought to help pay for Medicaid expansion in Idaho by redirecting money that counties spend to pay medical bills for uninsured residents who seek care. The bill stalled as lawmakers consider two other Medicaid expansion measures. Republican Rep. Fred Wood sponsored the legislation and said it will advance no further this session. Wood, the committee's chairman, said that an interim committee will possibly be formed next week to study the issue this year and the legislation presented Friday will be a starting point for that committee. "We're going to have an interim committee over the interim to work on this specific issue," Wood said, citing conversations he had with Republican House Speaker Scott Bedke and Republican Senate President Pro Tempore Brent Hill. "This will be a starting point for discussion for the interim committee, and then we'll be back at it again next Legislative session." Voters authorized Medicaid expansion with an initiative in November that passed with 61 percent after years of inaction by the Idaho Legislature. The expansion will provide access to preventative health care services for about 91,000 low-income Idaho residents, according to a risk management company hired by the state. The federal government would cover 90 percent of the estimated $400 million cost. Currently, the House and Senate have two competing bills involving Medicaid expansion. The Senate version directs the Idaho Department of Health and Welfare to look into the possibility of the federal government rather than the state paying for care of some people with mental health issues. Another section seeks to make sure all individuals eligible for Medicaid have access to work or job training, a voluntary program. The Senate version is backed by Reclaim Idaho, the group behind the voter-approved initiative. Wood, a retired medical doctor, said after the committee meeting that it was too early to tell what might happen with the two competing bills. "I think it's the usual end-of-the-session sausage making with an issue that is near and dear to people's heart, and an issue that a lot of people believe firmly in on one side or the other, and we have a ways to go," he said.